Whilst you may be considering doing nothing more than lounging around the house this winter rather than hanging outside in the bitter cold there are still plenty of great outdoor activities you can participate in to help warm things up. 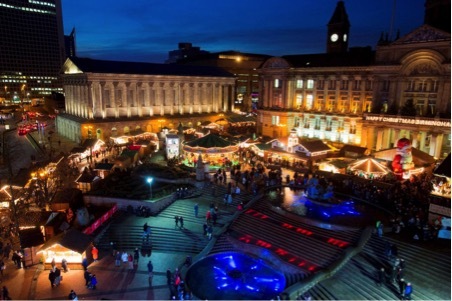 Located in the heart of England sits the UK’s second city, Birmingham, and it’s one of the most exciting and culturally diverse places in Europe. Home to everything from world famous Chocolate manufacturers Cadbury’s, to Sarehole Mill, the place that inspired J R Tolkien’s The Hobbit, Birmingham really does have it all. This December head down to the Digbeth Dining Club and you’ll be in for some alternative food treats. Some truly artisan traders head out on to the bricks of Lower Trinity Street and York Street to share their outdoor dining dishes with customers looking for some unconventional culinary experiences. This Christmas time sees The Bournville Waffle Company, Jabberwocky and burger crew Flying Cows all on hand to help fill your bellies. Get out of the cold and head to the Purecraft Bar and Kitchen on Waterloo Street to enjoy plenty of food and snacks to help warm you up. But what’s even better is that you can help wash it all down by chugging some specially crafted beer, and there are quite literally hundreds to choose from. 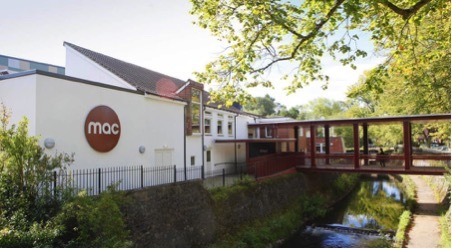 The Midlands Art Centre (AKA the mac) is one of the country’s leading art centres and plays hosts to a number of exhibits whilst also showing plenty of shows, contemporary dance experiences and outdoor musical events. They hold a regular food market to enjoy sweet and savoury treats and this December will see a special Christmas Craft Market arrive at the centre. It seems as if everyone now fancies themselves as a Paul Hollywood or Mary Berry thanks to the success of the BBC’s The Great British Bake Off. Well now you can learn all you need to know from the talented crew at Loaf’s Cookery School on Pershore Road in Stirchley. The cookery school will guide through all you need to know about getting around the kitchen and producing some top quality cookery creations. Just recently Birmingham heralded the opening of a huge new shopping and entertainment complex. It holds 50 outlet stores, a cinema, bars and restaurants as well as Genting International Casino where you can enjoy a number of great table and slot games. Hit the mall in the daytime before kicking back in the evening with friends or family at the casino where you can even play free roulette and a range of other free-to-play classics if you’re saving all your money for festive presents!